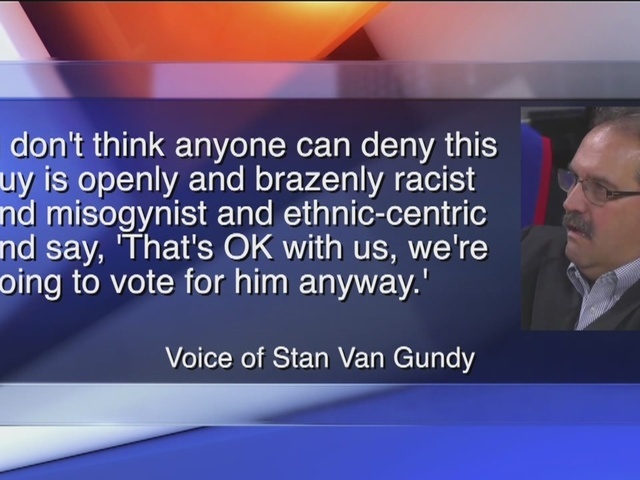 Detroit Pistons coach Stan Van Gundy has spoken about Donald Trump in the weeks leading up to the election. Now that Trump has been declared the President-elect, the Pistons head coach is not holding back. 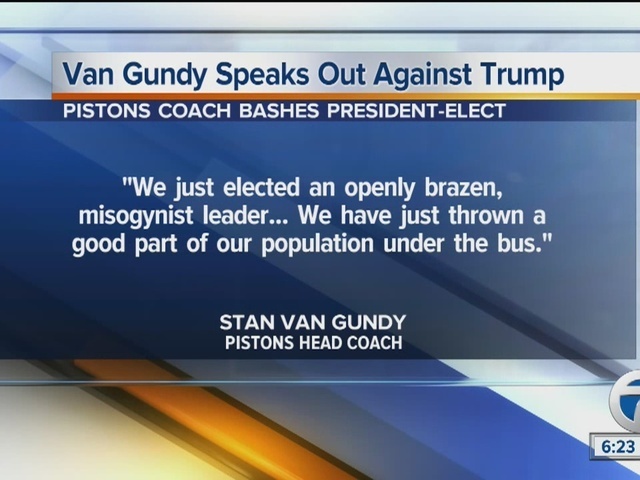 "We just elected an openly brazen, misogynist leader," Van Gundy said Wednesday morning, according to MLive's Aaron McMann . He spoke to reporters before the Pistons and Suns game in Phoenix. "We have just thrown a good part of our population under the bus," he continued. "I’m having a hard time being with people. I’m going to walk into this arena tonight and realize that most of these people voted for him. Like, [expletive], I don't have any respect for that." For the full five-minute speech from Van Gundy, check out the transcript in McMann's story from Arizona .